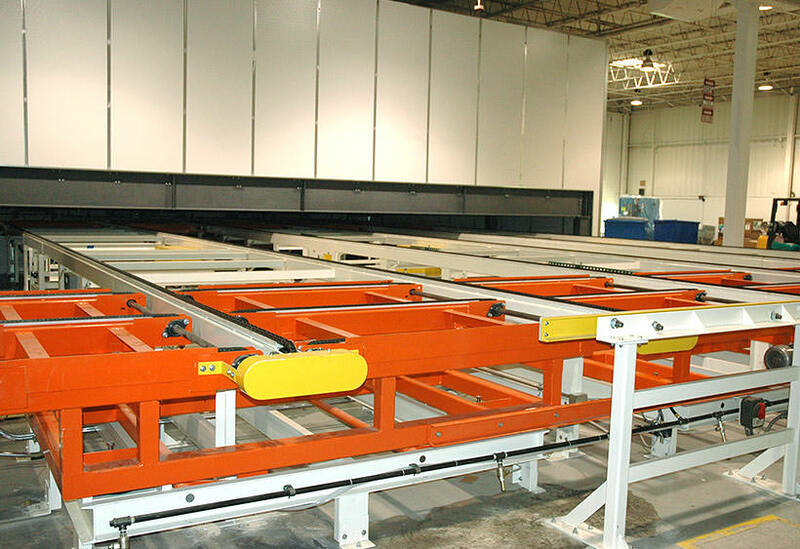 Our client needed to automate the process of moving motor home side panel mold pallets that are 10′ wide x 40′ long through the fiberglass process. 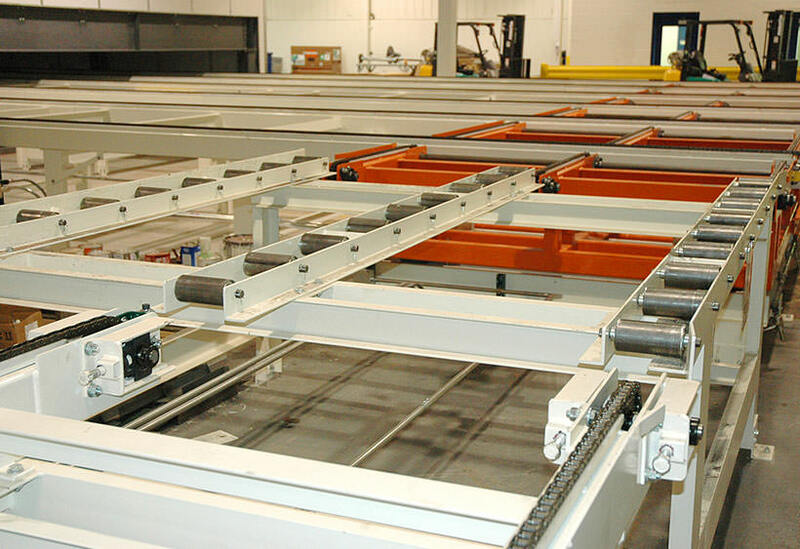 The size and shape of the pallets made it challenging to move by hand and to automate. 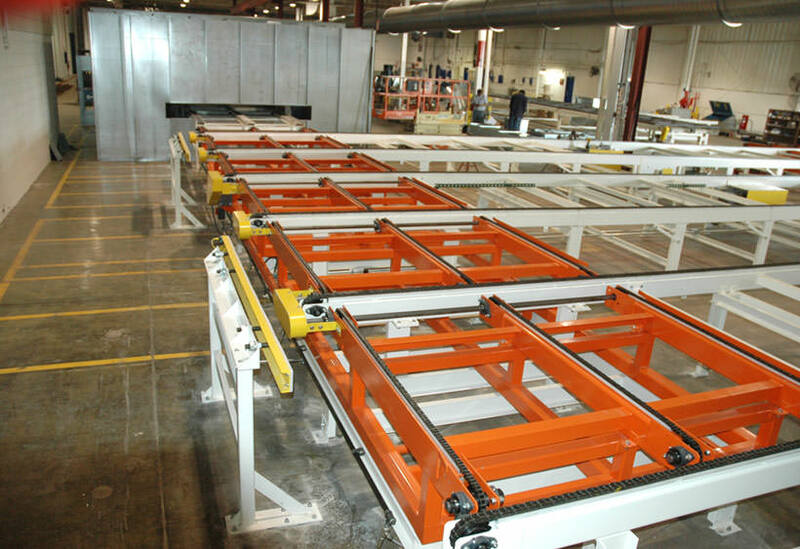 Our custom designed system moved the mold pallets through the fiberglass lay-up operation and into the curing oven. 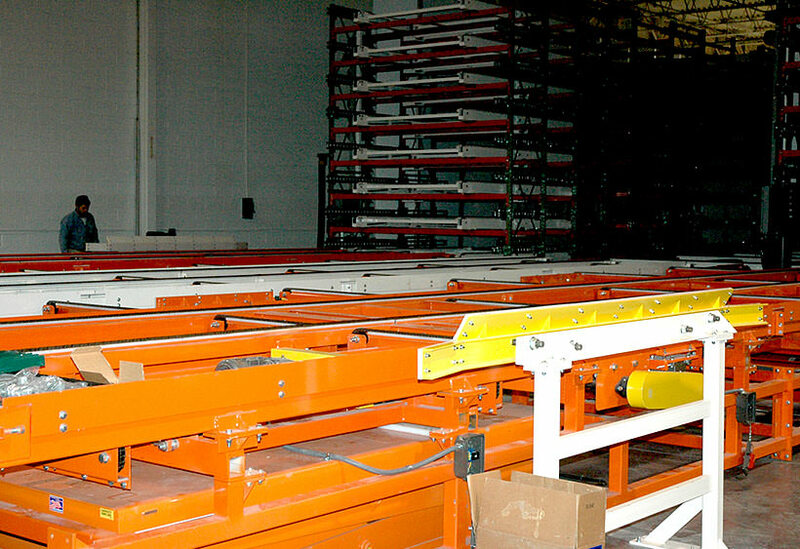 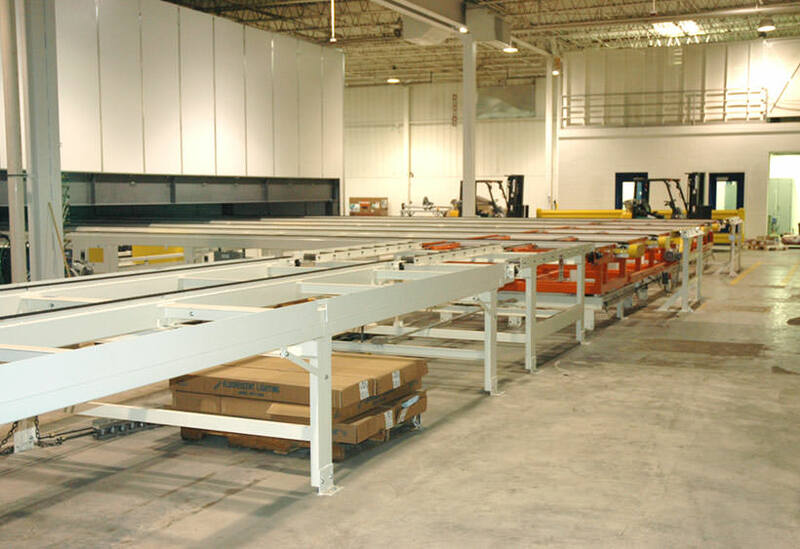 The chain conveyors and transfers moved the mold pallets onto large lifts that loaded storage towers that held the pallets during the cure time. 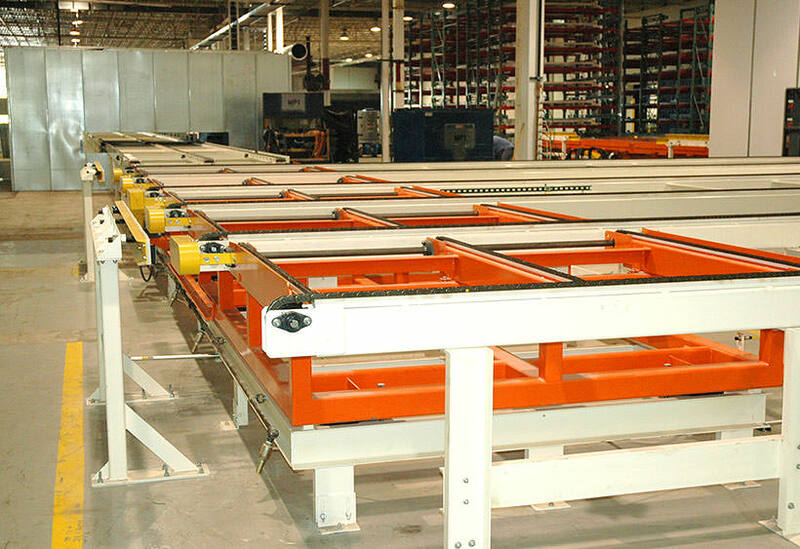 The finished mold pallets were then transferred from the ovens to assembly.Automating this process saved time, difficult manual labor and floor space.